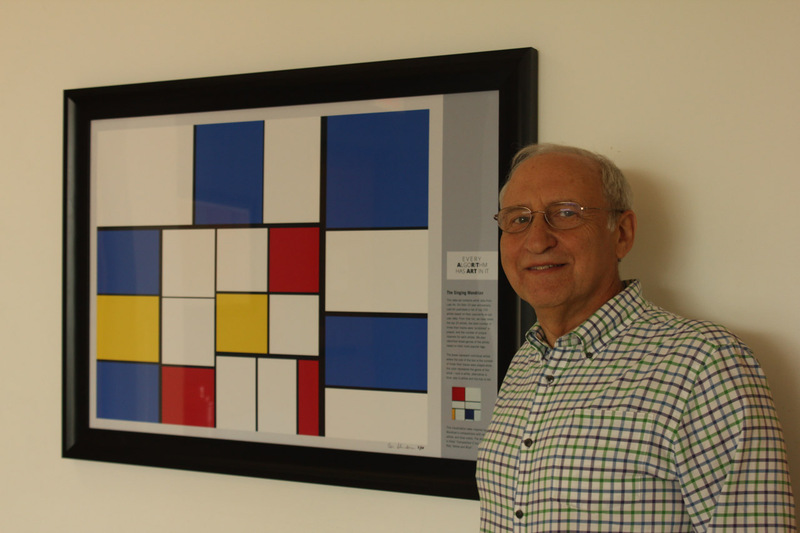 This was the original printing and was hung in August 26, 2013 at University of Maryland Computer Science Instructional Center, Third Floor. 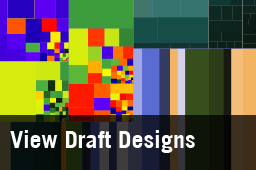 The original plan was for it to hang for two months, but overwhelmingly supportive comments have led to it being a permanent exhibit. 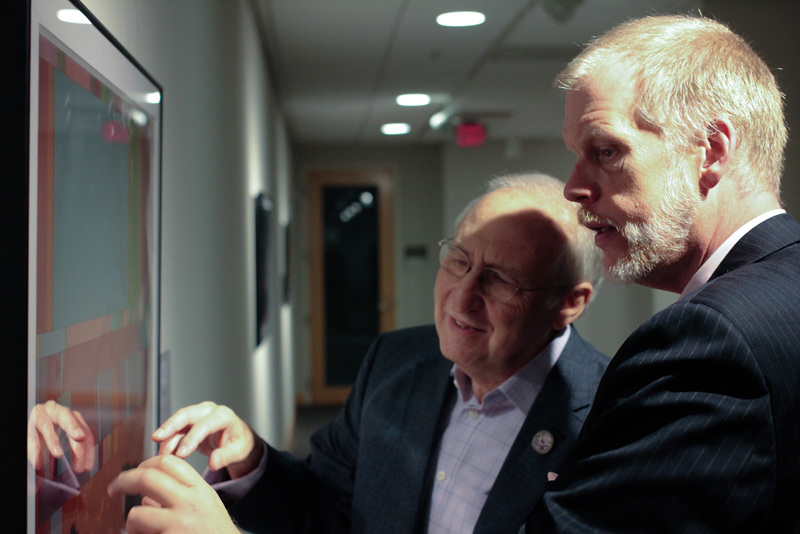 National Academy of Sciences, Washington, DC received the second copy and exhibited it at the Keck Center, 500 Fifth Street, NW, Washington, DC from October 16, 2014 to April 10, 2015. 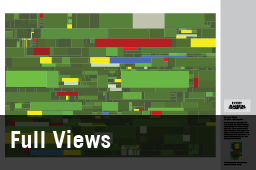 The panel discussion, led by the NAS Director of Cultural Programs, J. D. Talasek, featured Jonah Brucker-Cohen, Jon Froehlich, and Manuel Lima who discussed the intersection of art and science. 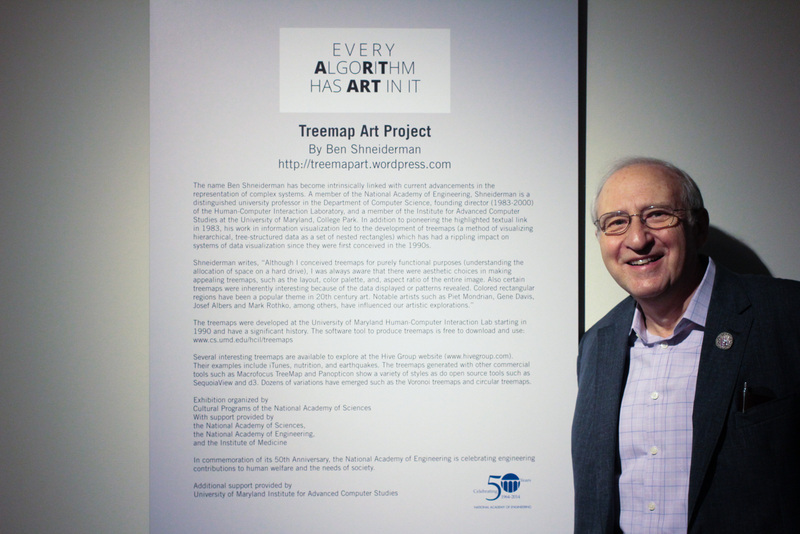 Ben Shneiderman did exhibit tours before and after the talk for the twelve Treemap Art pieces. 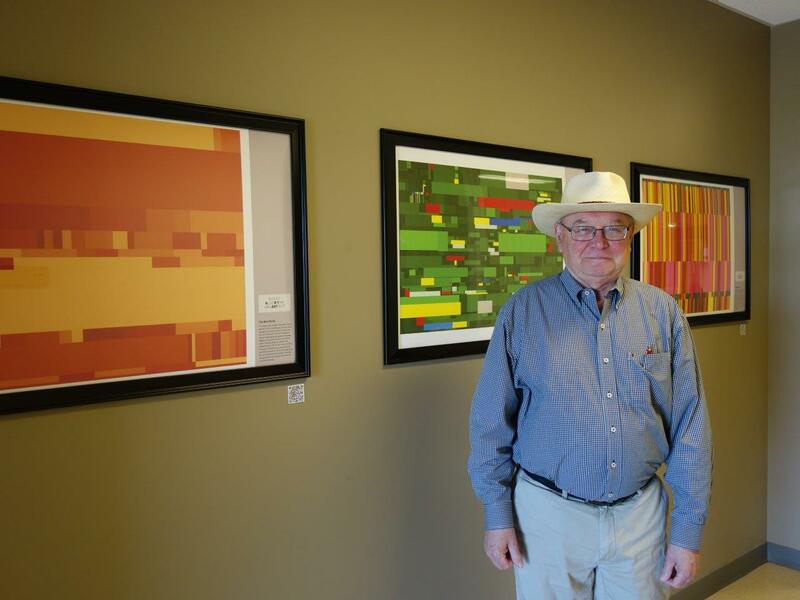 This copy of the Treemap Art Project was then installed at the Howard Hughes Medical Institute at Janelia Farm, Virginia during April 2016 and will be moved to their Chevy Chase, MD headquarters for July-September 2016. 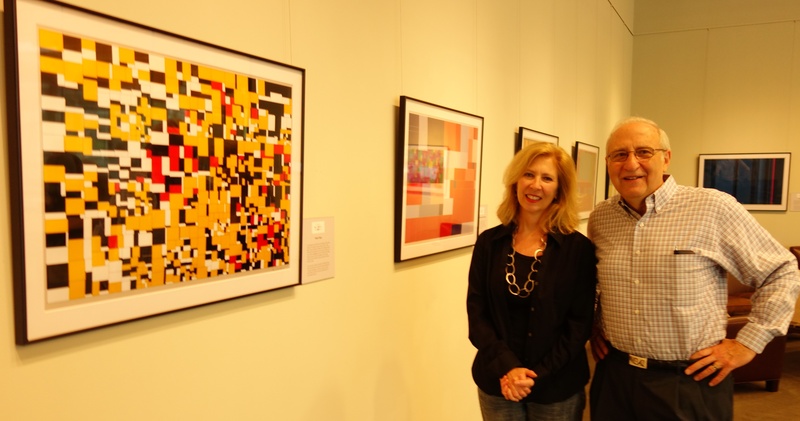 The photo shows Curator Kimberly Ripley, ripleyk@janelia.hhmi.org with Ben Shneiderman at their Gallery. 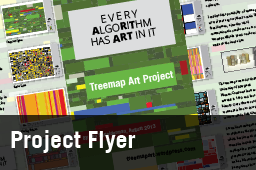 The third copy of the Treemap Art Project was donated in May 2015 to the Museum of Modern Art in New York City. Chief Library Milan Hughston was the contact. 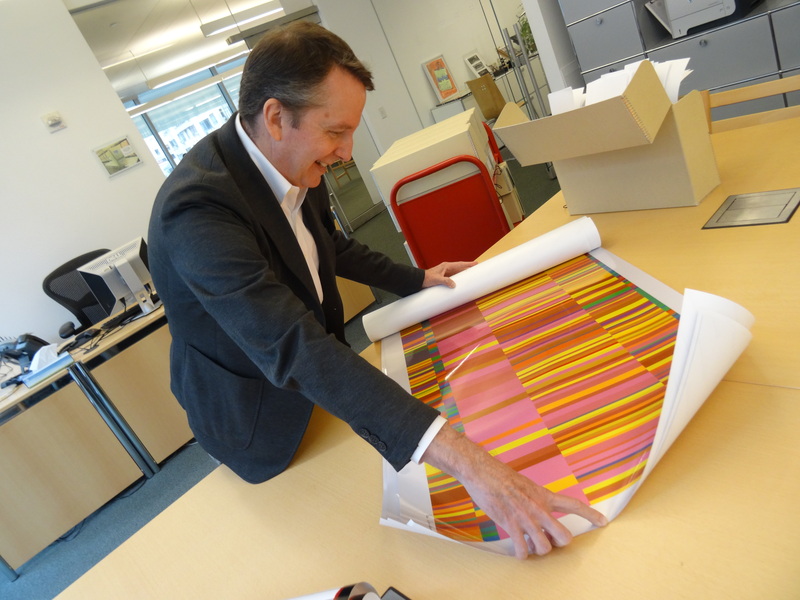 The 12 prints are permanently in their collection. 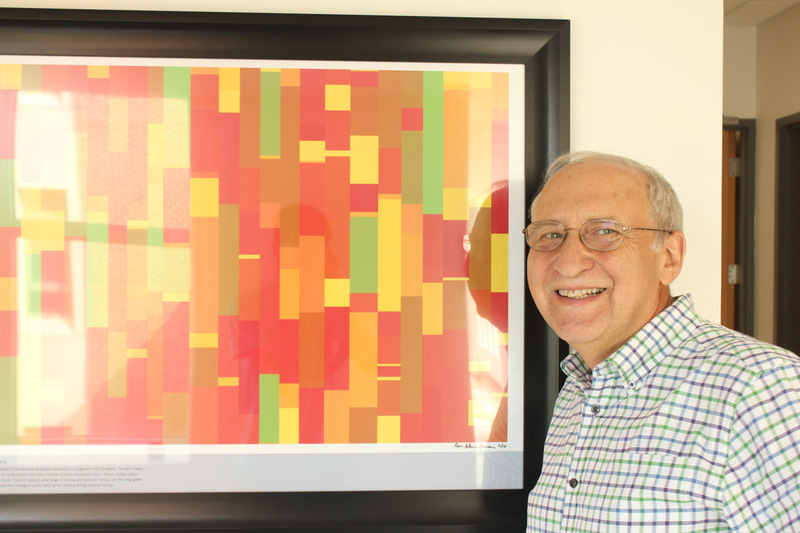 The fourth copy of the Treemap Art Project was printed by Gary Olson at the University of California-Irvine. 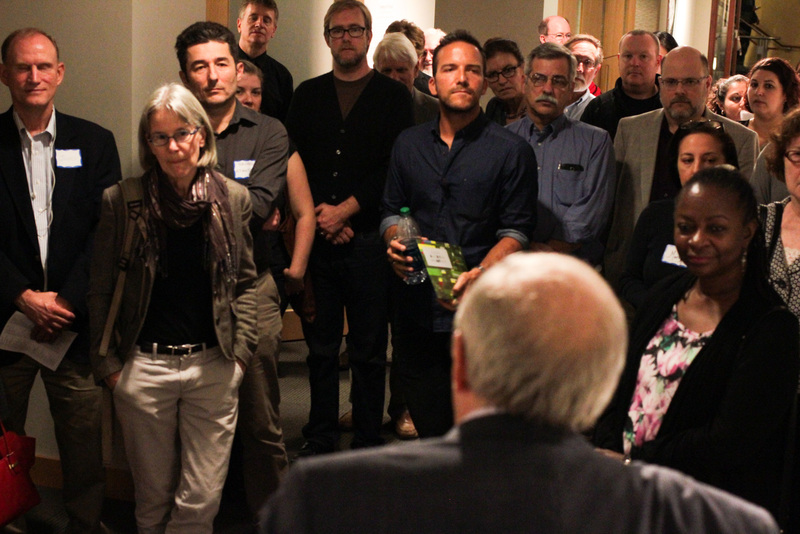 The Opening Reception was on March 31, 2016. 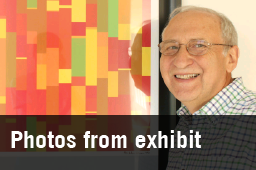 The photos show Gary Olson in front of the exhibition. 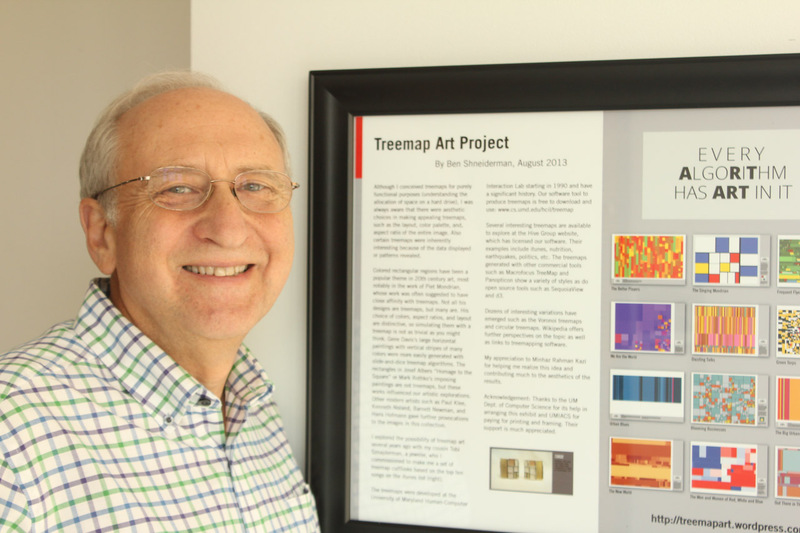 The fifth copy of the Treemap Art Project was printed by Matt Jones, Head of the College of Science, and is on display at Swansea University in Wales, UK.